Virtual reality is the next big development in the tech world. The technology for it has been in the works for decades but it has now finally reached a point where it’s practical and affordable to make consumer products. And that means the virtual reality market is growing more and more every year. In this article we’ll take an in depth look at virtual reality technology and some of the most exciting virtual reality uses. You’ll learn more about how it’s changing the world, what you can do with it, and what you can look forward to in the future. What Is Virtual Reality & How Does It Work? Virtual reality refers to technology that either simulates the real world as closely as possible or creates its own virtual world that looks and feels so realistic, you feel like you are actually there. You can interact with the features and objects in the virtual world just as you would if they were real. This is done by the use of specialized technology which involves a few key aspects. You need a screen (or screens) that shows you the virtual world. That display needs to be specialized so that it is able to use information from the other parts (especially the motion tracking sensors) in order to know how to reorient the images on the screen to match your movements. Most devices use a combination of infrared lights and external sensors. Your headset or other device will have multiple infrared lights located across the outside of it. Then, you’ll have one or more sensors located in the room that track those lights in order to figure out where you are and how you are moving. By tracking your head movement, the device knows how to reorient the display to match the movements of your head. If you also wear hand motion controllers, it will be able to track the movement of your hands so that you can interact with the features and objects in that virtual world the same way you would in real life. For the most immersive experience, you’ll view your display through a headset that wraps around your eyes so that you can’t see anything but the virtual world. This helps you become immersed in the virtual world since you aren’t distracted by the actual outside world. This is not available on every device but it really does help make the experience more immersive. This is technology that creates a 3D audio effect so that noises sound like they are actually coming from different directions—behind you, to the side of you, or even moving from one point to another like the changing sound of a car as it drives past you and away. Virtual reality development has a relatively long history dating back to the 60s. But it is only in the last few years that technology has caught up to the point where we can actually do some impressive things and create products that are affordable enough to sell for consumer use. And this is still just the beginning. We can look forward to a lot of impressive advances in virtual reality programming, design, and application over the next few years. Let’s take a look at some of the things it can already do and what’s in the works for the future. Virtual reality simulators were some of the earliest applications of the technology. Already by the 60s, we had crude versions of flight simulators that helped pilots train before they actually flew a real plane. Today, flight simulators have gotten much more advanced and are able to recreate very realistic laws of physics and conditions that a pilot will experience when flying a real airplane. The military also uses simulators to train fighter pilots as well as for combat training. Soldiers can get a feel for the high pressure realities of being in the middle of combat before they actually enter an active combat zone. Although you can argue that no simulation will ever fully prepare you for the real thing (especially when it comes to something like combat), they are still extremely useful tools for helping the trainees apply the things they learn in training to realistic situations. Once someone sits behind the controls of a real airplane or enters an actual combat zone, there will already be a level of familiarity that will make it that much easier to adapt to and develop their skills in the real world. Whether it’s a tech company or a beauty salon, businesses are going to be transformed by the introduction of virtual reality. There will be less and less need to make people come to an office, letting them work remotely and coordinate via virtual reality conference. Marketing, sales, office administration, project management, and pretty much every other department are going to see some interesting and productive ways to use virtual reality in business. Coordinating a scattered staff. More and more jobs could be done from home or while travelling with virtual reality. Simply have everyone attend a virtual meeting in a virtual conference room. No matter how spread apart your team is, it will be easy to get them all together at a moment’s notice. Collaborate on projects. Developing new products are launching new campaigns requires a lot of intensive team work. Moreover, all the paperwork, notes, sketches, and other material that is created and used over the course of a project can be difficult to manage and keep track of. If you’ve got your team working in a virtual office, not only is it easier to get the team together when needed, but you can be sure all the important material is stored in that virtual office. Anyone on the team will be able to access it any time they need it. Prototype design and creation. You can get a working prototype of your product up and running for much less and make it a more vivid and realistic experience. An automotive company could virtually test drive a prototype car before they decide whether or not to actually build it. An architectural firm could put their building in an exact virtual model of their city so that it’s possible to actually visualize what it would look like more effectively than by simply looking at a miniature model or a 2D drawing. Some of this is still in the works but as the technology gets better and more reliable, these applications and more will not only be feasible but better ways of doing business than what we’ve been doing until now. This is one of the most fun applications of virtual reality. There’s some exciting developments in all areas of entertainment—especially gaming and movies but also sports, TV, and even roller coasters! This is where much of the latest advancements in virtual reality have shown up. Most virtual reality headsets on the market are mainly intended to be used for gaming. And we’re seeing so many new games come out that have been designed with virtual reality in mind so they really take full advantage of what the tech has to offer. There are even some virtual reality games that work with your smartphone (in combination with a head-mounted display) so this area is pretty accessible even for people who aren’t ready to invest in a more expensive virtual reality system. This area is still pretty new but it has a lot of potential and its growing fast. With the use of 360 degree cameras, movies, TV shows, sports and even YouTube videos can be turned into virtual reality experiences. When you watch a virtual reality movie with your VR headset, you’ll be available to turn your head to look all around you. Not only does this mean that you get to become a sort of custom camera operator controlling exactly what you see in any given scene, but it also gives you a more immersive experience. You will feel like you are really standing there in the room with your favorite actors. It’s a whole new way to watch a movie! There are already a few short films that have been made with this technology and some YouTube videos. But soon, we can look forward to virtual reality TV and even feature length films! 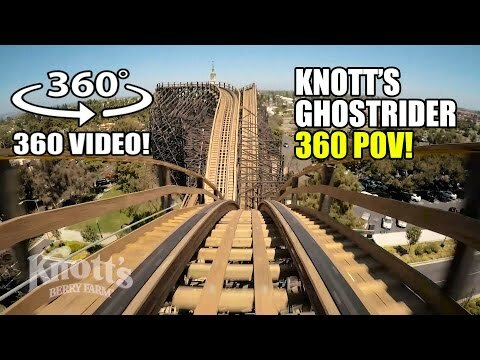 And as the 360 degrees get more and more affordable, you’ll be able to make your own virtual reality home videos! For those who love roller coasters, virtual reality rides are the next step. Not only do they give you that scream-worthy adrenaline rush but they can do it while making you feel like you are in a totally different world. When the roller coaster hits a drop, you’ll feel like you have just plunged off a cliff—making the drop that much more of an adrenaline rush. You’ll forget you’re strapped into a coaster and really feel like you’re flying through the air, free falling off buildings, and careening through city streets. This is still in the early stages as there are only a few places offering virtual reality rides but the ones that exist are definitely unforgettable experiences! Virtual reality is going to be able to truly transform education for the better. With this technology, teachers can engage students and make the lesson material much more exciting and interesting. Imagine if learning about Ancient Greece included a virtual field trip to Ancient Greece. You could wander through the streets, admiring the buildings and sculptures when they were in their prime and before they became ruins, and see what daily life on the streets looked like. This technology can make history come alive but it can also be applied to other subjects as well. Learning about cells and anatomy might be boring if you’re just reading about it in a book. But if you could take a virtual trip where you shrunk down and explored a virtual human body at the microscopic level, suddenly those boring facts take on a whole new life. One of the challenges to education has always been making the material engaging and relevant for students. Virtual reality makes it possible to teach the material in creative new ways that will have even the most apathetic students getting excited to go on these virtual adventures. You could take students out into the Milky Way, dig down to the Earth’s core, or swim through the coral reef—all without stepping foot outside of the classroom! There are many other cool and exciting applications for virtual reality. For example, one of the major areas of virtual reality research is in gaming. There have been so many cool advancements in that area that it is a topic all its own. We are going to see a lot of amazing developments related to virtual reality in the coming years so it’s definitely a technology to keep an eye on whether you want to be an early adopter of the next cool gadget or you’re looking for the next great investment.